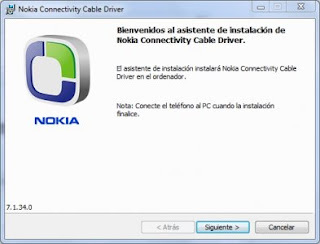 It is important for Windows 2000 or XP or Vista users: Drivers for the Nokia DKE-2, DKU-2, CA-42, CA-53, CA-70, and CA-101 cables are now integrated into PC Suite. Instead of downloading the cable driver separately, we recommend you download PC Suite. Make sure the cable is disconnected from your PC before downloading and installing the driver.